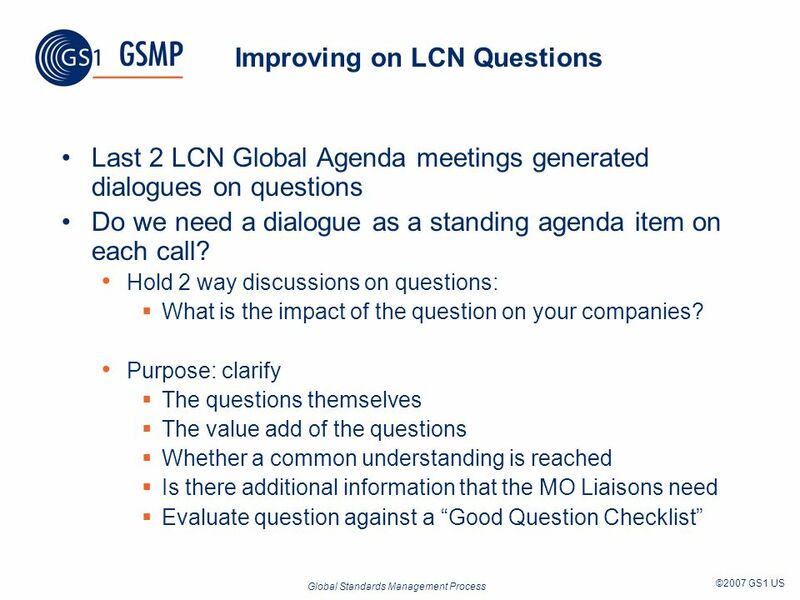 LCN Enhanced Process Meeting GSMP Brussels + 17-Apr 2008 Melanie Kudela. 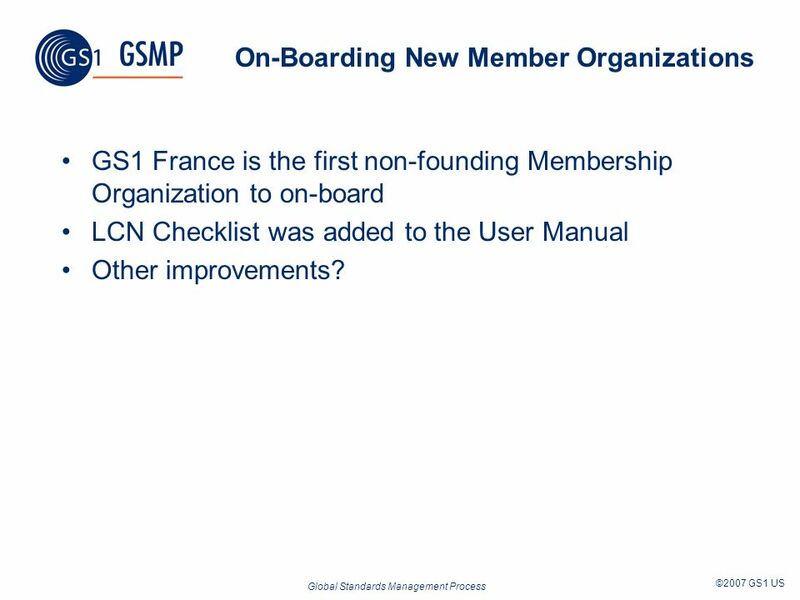 3 Global Standards Management Process ©2007 GS1 US On-Boarding New Member Organizations GS1 France is the first non-founding Membership Organization to on-board LCN Checklist was added to the User Manual Other improvements? 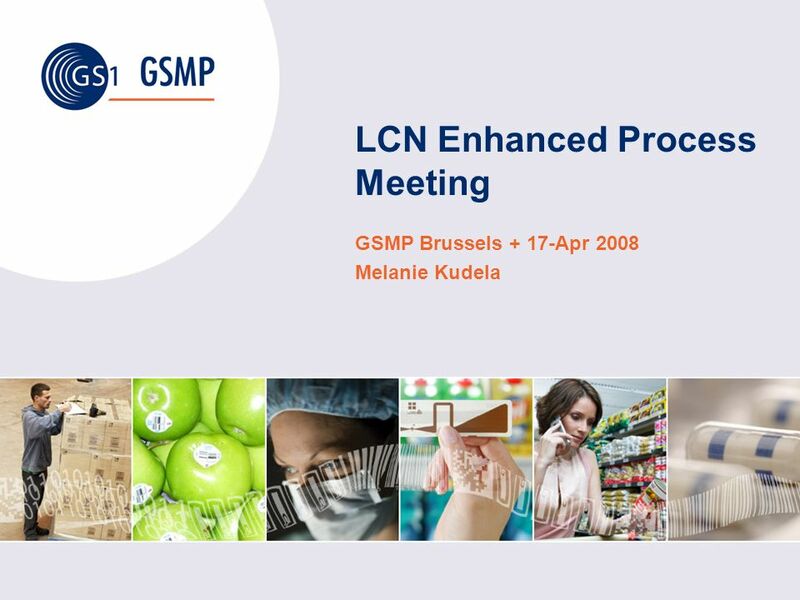 Download ppt "LCN Enhanced Process Meeting GSMP Brussels + 17-Apr 2008 Melanie Kudela." GS1 Standards in Healthcare Nicolas Stuyckens GS1 Belgium & Luxembourg. A brief introduction to GRIFS For the CERP meeting 9-10 June 2008 at ETSI visit for more informationwww.grifs-project.eu. 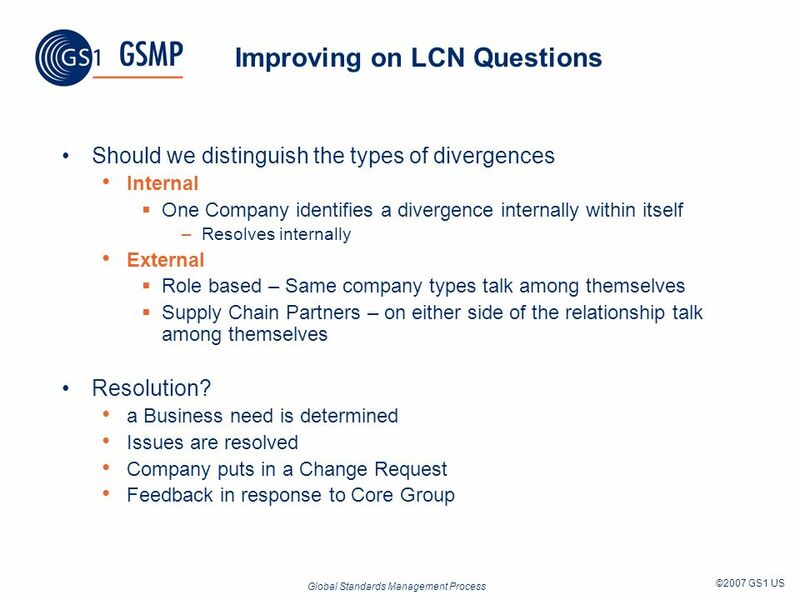 Partnership levels by Dan FLORESCU Coordinator of BEST Corporate Relations BEST ROUND TABLE 5 th October 2007 Paris, France. Conformance and Certification Global Forum, Brussels, 15 February 2007. Traceability in Healthcare II Vision June/July 2011. 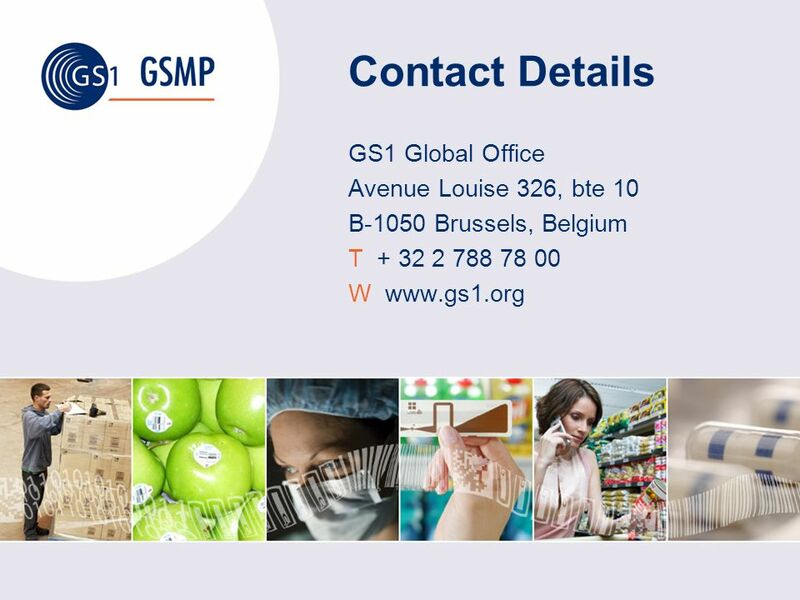 What is GS1? An Overview May © 2008 GS12 Background: What are standards? Standards are agreements that structure any activity or any industry. They. 1 What is Data Synchronisation and How to Get Started? Peter ALVAREZ GDSN, Inc. 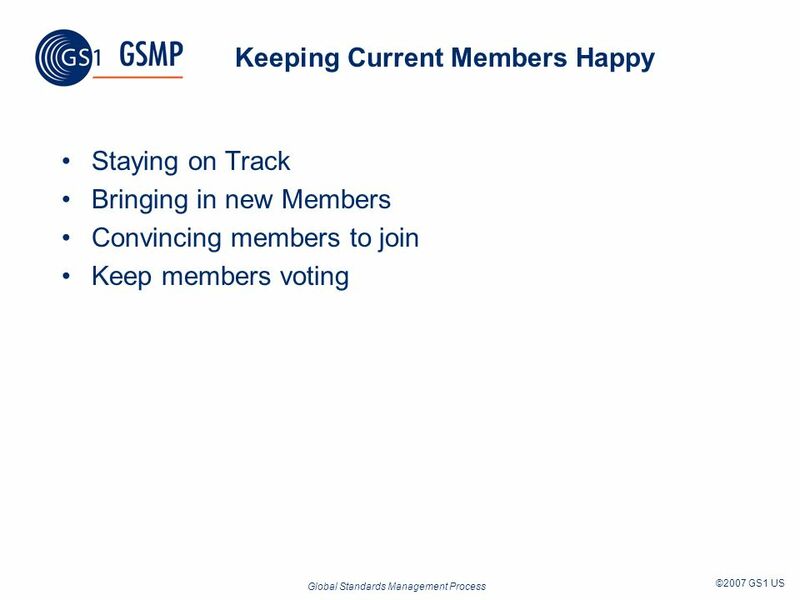 Hosted by GS1/ISO Relations Henri Barthel GS1. © 2010 GS1 Creating value together with global standards GS1 liaisons with standard bodies ISO UN/CEFACT. Modular Trade Item Overview Name of Session: eCom Time of Session: Speaker: Eric Kauz. GS1 Industry & Standards Event Sept 27-1 Oct 2010 – Amsterdam Creating value together with global standards Discovery Services: the Final Chapter in End-to-End. Hosted by Standards Development Update Sally A. Herbert, President Standards and System Development GS1 President GDSN, Inc.
Data Quality Lunch and Learn Gabriel Sobrino GSMP Spring Event 2008 Brussels, Belgium. 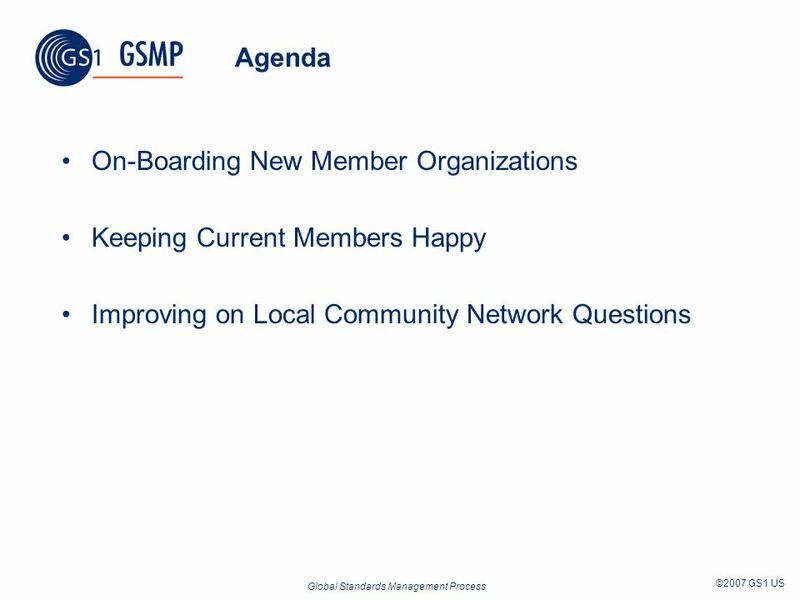 GSMP Local Community Network Global Agenda 24 Apr Melanie Kudela. 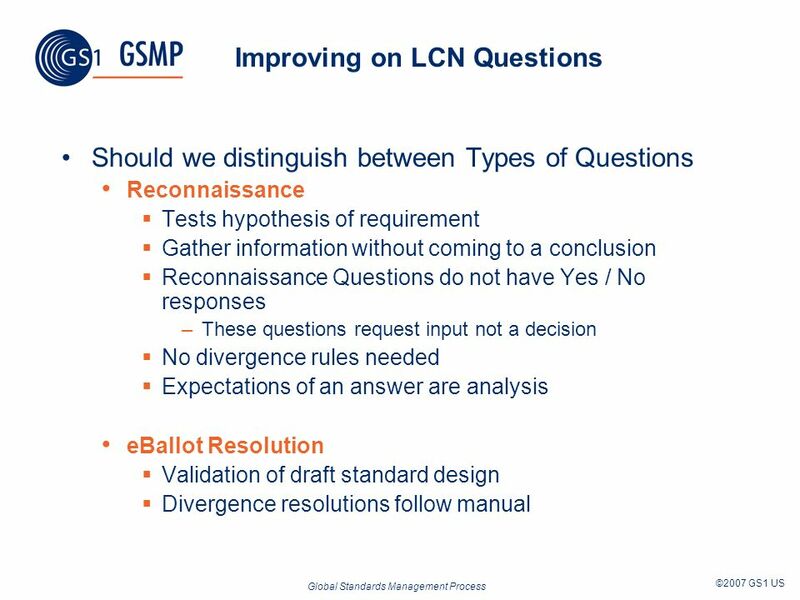 GS1 Standards Development Event Autumn 2009 Hosted by Name of Session: LCN Time of Session: Tues 27 Oct, Who May Attend: Everyone Interested. GSMP Local Community Network Global Agenda 27 Aug2009 Melanie Kudela. GSMP Local Community Network Global Agenda 28 May 2009 Melanie Kudela. GSMP Local Community Network Global Agenda 24 July 2008 Melanie Kudela. GSMP Local Community Network Enhanced Process San Diego - 2 Oct. 2007 Melanie Kudela.